Have you finished your Insanity Workout? Are you ready to dip deeper? 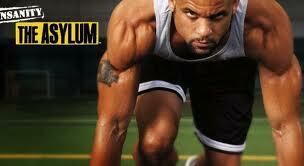 Shaun T brings intensifying workout routines to the home TVs to give you a pro athlete’s body in just a month’s time. By digging deeper, you are stepping up the Insanity workout results and adding to your fitness level. The Asylum workout is very different form Beachbody Insanity workout program but you might need to take on the first step Insanity to make the best of the schedule. Here is a little about the workouts which will help you to understand the technique behind the intensity. Asylum Volume 1 aims to offer you the athletic stance and a winner’s body. It will let you dig deeper with the workouts that are based on the cross-training methods used by elite athletes. Forget the gyms when you take on the 6 intense sports training workouts that are build to make a body that is lean, ripped, and build to perform. The Athletic Matrix (training technique of world’s top athletes) will help you train with the elite sports camping routines so that you get involved with the explosive moves, crushing angles and non-stop series of sports drills. As you work your way through the Asylum routine, you will feel added power, speed, and agility while transforming the way your body looks. The workout routine is one-step ahead of its successors and comes with a set of equipments that will help to give better workout results. You can also get help from various other equipments to add to the Asylum Workout results and improve the techniques. When you buy the Asylum workout for just $105, the pack will include an Agility Ladder, which is a portable gear to advance the speed and sharpen your focus on the jumps. Speed rope is an sports-inspired training tool which is going to increase your foot speed, manage your jumps. The rope will also help to build up the endurance and add to the competitiveness of the workouts. The strength bands come with the Insanity Asylum workouts pack and are used to build the strength and form. You can place these bands on the arms and the legs and rev up the workouts with an extra boost. While doing the X-Jumps you can wrap your wrists and ankles around them and improve your stance. The Asylum Workout Routine is crucial for enhancing the muscle tone and improving with the agility training technique to push your body to the cores. Use the equipment to get more enhanced results for better shape and test your power with the added support.